At first sight artist Giovanni Ticciati might not seem to fit the description but, as we all know, appearances can be deceptive. A small, quiet and unassuming man, Giovanni, on first meeting seems almost shy. But, scratch the surface, and his passion soon becomes apparent; a passion for almost everything around him. As a boy, Giovanni heard how his grandfathers, Giovanni Ticciati and Antonio Pelagalli, and his uncle Gino Ticciati helped with some of the many Etruscan archaeological excavations around Volterra. Giovanni lived in the beautiful, continuously inhabited town of Volterra, whose history dates back many thousands of years, and which is surrounded by spectacular and rich landscapes. It comes as no surprise, therefore, to learn that Giovanni’s passions, coupled with an amazing talent for drawing and design, led him to enrol at Volterra’s l’Instituto d’Arte (Institute of Art), where he studied how to work in iron. He also pursued his love of pencil and charcoal drawing, inspired by subjects from ancient mythology, history and nature, and especially flowers. Today, semi-retired, Giovanni retains his studio/workshop in the Borgo San Stefano, only a few hundred metres outside the Porta San Francesco. 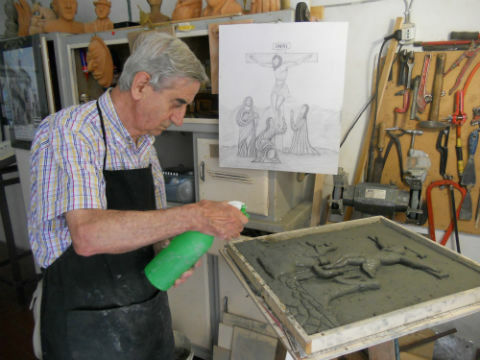 No longer compelled to work for to make a living, Giovanni now devotes himself to creating works which strike his fancy and fire his imagination. 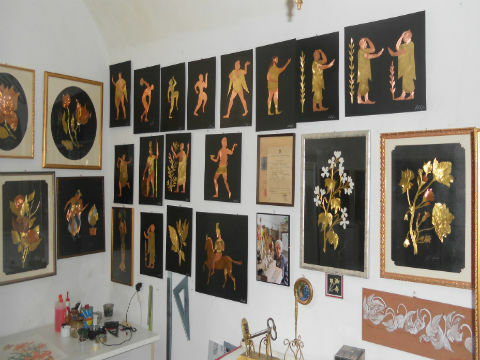 Collages crafted from metal, with mythological, historical, floral and abstract themes adorn the walls of his studio. But they do not stand alone. In semi-retirement, Giovanni has returned to another passion, freehand drawing. In particular, black and white sketches of natural landscapes and people from history. Added to these are bas-reliefs and objects crafted from clay, also reflecting his passion for nature, mythology and the past. All have the power to transport the viewer into a magical world in which history, its myths and people, and the natural world “speak” as if they were alive. We were lucky enough to meet Giovanni on a previous visit to Volterra, even buying one of his metal collages which is the envy of many of our friends. This visit, we were even luckier, for not only did we meet him again, but we were transported by Giovanni on a “magical mystery tour”. 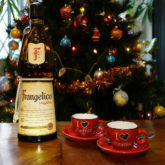 In the course of twenty four hours we had met his charming wife, toured his simple but stunning house from whose garden one could see for miles around and been shown stunning medieval frescoes in a private chapel adjoining the church of San Francesco. And, that was just the start! We met friends of his, a couple whose connections with the history of Volterra’s alabaster art goes back over one hundred years; the signora’s grandfather is still referred to as “Il Maestro” (The Master). They guided us around their showroom, and we even had the privilege of visiting what can only be described as their private museum. The following day Giovanni took us to visit several Etruscan tombs, explaining and describing details that a casual visit would never have revealed. We can only reflect, with wonder, on our good fortune to have had the privilege of meeting such a kind, gentle but passionate man. Giovanni does not stand alone. There are many people like him in Italy. The language barrier need not be an obstacle. All it takes is a willingness to communicate (gestures and smiles are very effective) and a desire to let people like Giovanni help you learn about their amazing, passionate, country. 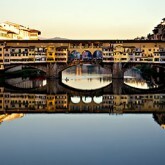 For Jenny, living in Italy is a dream come true and not everyone can claim that. 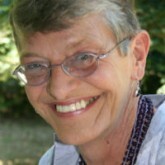 A retired teacher, she now lives in Barga with her partner David. Their journey to Barga began with a holiday but they both felt that Barga chose them to stay, so here they are. Immersed in the life here, Jenny passes her time writing, researching, observing and learning. Who knows what else is to come?